Inspired by the teachings of our Founder, St. Vincent Pallotti and that of the Second Vatican Council and in view of actualizing these ideals, Fr. Emmanuel Savariaradimai, SAC, took the initiative in establishing PILLAR at Nagamalai, in Madurai. For this purpose 30 acre land was purchased in 1995 and the construction of the building was commenced. Over the next four years there came about the PILLAR Campus with rooms, halls, chapels, play grounds and gardens. Most Rev. Marianus Arokiasamy, the Archbishop of Madurai, blessed and inaugurated PILLAR on January 20, 1999. The Centre organizes parish leadership programme, family renewal programme and special programme for altar-servers from the Archdiocese of Madurai. Seminars are organized for priests, in collaboration with Catholic Priests Conference of India, in order to help them promote lay apostolate. Programme to promote Christian leadership in public life are also arranged periodically. PILLAR renders service to the NGO groups who are committed to social transformation in India, by organizing a number of human rights training programme. Ecumenical programmes with other Christian denominations are organized in view of strengthening ecumenism. The centre is also used for organizing retreats for Diocesan clergy and religious. PILLAR also takes up a number of Social activities, such as evening tuitions for poor children, tailoring classes for poor women, free education for poor children, forming self-help groups, etc. The Institute also has an Inter-religious Meditation Hall. At present the library is being constructed. Fr. Emmanuel Savariaradimai, SAC, was the initatiator, the first and the present Director of PILLAR. Frs. Albert Leenus, SAC, and Susayan Sathyanesan, SAC also served as the Directors of PILLAR. Pallotti Home, the Retreat Centre was blessed on April 28, 1985 by Most Rev. Raul Gonsalves, the Archbishop of Goa & Damen. It functioned from 1985 onwards solely as the Retreat Centre. The major construction work of Pallotti Home was carried out by Fr. Paul Kochupoovathummootil, SAC. He was assisted by Fr. Henry Kieffer, SAC. Pallotti Home, as a Retreat Centre, contributed greatly for the renewal of the faithful by way of organizing charismatic renewal retreat, charismatic growth retreats and charismatic leadership retreats. A good number of laypersons participate in these retreats. Besides retreats for the college students and high school children are organized by our confreres. Seminars on communication and leadership are organized periodically. 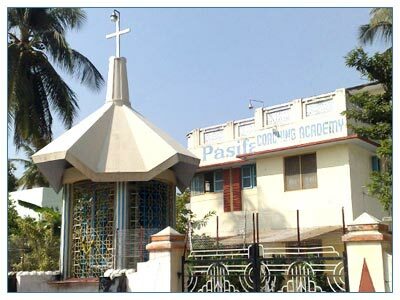 Retreats for youth from different parishes of the Archdiocese of Goa are also organized. Groups such as Marriage Encounter, Couples for Christ, etc. also have had their programmes and retreats here. By and large this apostolate centre caters for the formation of the laity. From July - December 2006 a major renovation was carried out at Pallotti Home. Frs. Jose Koyickal, SAC, Frederick D'Souza, SAC, Peter D'Souza, SAC, Anton Nenzl, SAC, Ralph Besterwitch, SAC, Frank Pinto, SAC, Leo Felix Monroe, SAC and Fr. Frederick D'Souza SAC. are some of the confreres who served Pallotti Home as Directors. There were many others who assisted them over the years. The present Director is Fr. Anthony Correia, SAC. The house at Silva Vaddo, Parra, and the land adjacent to it were donated to the Pallottines by Mr. John Pires and Mrs. Philomena Pires in the year 1995. Until 2003 no major renovation was carried in the house. In 2003 the Provincial Council authorized Fr. Camilo Simoes, SAC, to begin the renovation of the house. The renovated house was blessed and inaugurated by Very Rev. Fr. Christudhas, SAC, the Provincial, in January 2004. 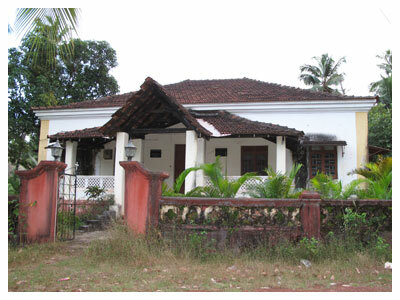 The house was then named Pallotti Dhan. Since we had a good number of graduate students that year, the Provincial Council decided to make this house a temporary formation house for the graduate students. Fr. Patrick Furtado, SAC, was appointed In-charge of the house and the group of seven graduate students from June 2004. He also carried out further renovation including the making a new Chapel for the Community. The new Chapel was blessed by Most Rev. Philip Neri Ferrao, the Archbishop of Goa & Damen on December 21, 2004. The house was rechristened Villa de Pallotti. In June 2005 Fr. Walter Menezes, SAC was appointed as the In-charge of Villa de Pallotti. Because of his efforts on March 28, 2006 an additional 400 square meters land (S. No. 7/58) and in August 17, 2006 land measuring 2150 square meters (S. No. 7/28) was gifted to the Pallottines by Mr. and Mrs. Caesar and Jim Flinto. 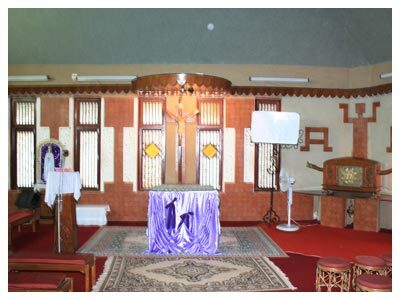 From June 2007 the house is used as an Apostolate Centre for conducting camps, seminars and other similar programmes. In the year 2007 Villa de Pallotti was looked after by our confreres from the Pernem Community assisted by our confreres from the Assagao Community. Fr. Peter Patrick Mendes, SAC is in-charge of this house. 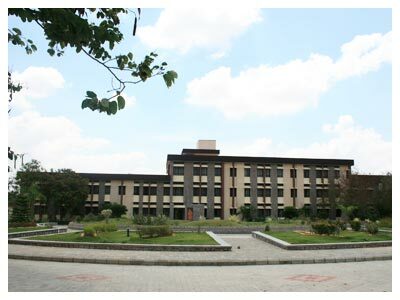 Prakash Estate at Kaliyal was purchased in the year 1988. It is about 28 acres. Of these in five acres of land coconut trees were planted, while the 23 acres had rubber trees. The purpose of purchasing the Estate was to guarantee self-sufficiency in the Province. After the purchase of the Estate for the first eight years i.e., until 1996 we had no difficulty with the property. In 1996 another person made a claim on this land. Since then till 2005 we had one or the other legal problemS with the land. On April 12, 2005 final judgement was given in our favour. Besides rubber and coconut plantations we have animal husbandry, particularly a large piggery. A rubber nursery is also functioning in the Estate. Since 2001 to 2007 a few graduate students stayed in the Estate and did their graduate studies in different colleges. A small house was built for the stay of college students. Since 2002 the accommodation facilities available at the Estate were used by various groups to organize seminars, retreats and similar programmes. There is a great scope to develop a much larger house for the purpose of conducting such programmes. The Pallottine confreres who worked as the Managers of the Estate are Frs. Thomas Edathottiyil, SAC, Jose Mathew, SAC, Sathyanesan, SAC, Albert Leenus, SAC, and Suresh Joseph, SAC. The present Manager of the Estate is Fr. Sathyanesan, SAC.